This is your chance to glam up and strut your stuff. Saturday, March 23, 2019 is your chance to glam up and walk the red carpet while supporting the homeless. Join the Rotaract Club of Perth and the Perth Homeless Support Group (PHSG) for a night of Hollywood Glitz and Glamour at the Parmelia Hilton Perth from 7:30pm to midnight. Your evening will kick off with canapés and champagne on arrival, live entertainment followed by a two-course meal and unlimited beer, wine and soft drink throughout the night. Celebrity impersonators, live entertainment, paparazzi photographers, dancing and much more ensure Perth's Hollywood Charity Ball is the highlight of your 2019 social calendar. Perth's very own local treasure, the professional, indomitable, entertaining and stylish Jenny Seaton will keep the ball (and fun) rolling, as Master of Ceremonies for the night. Plus, some very special guest speakers and an opportunity to bid on some amazing prizes. All proceeds from the event provide essential Care Pack items (food packs, toiletries, fresh food, blankets and jumpers) to help the homeless. Ron and Michael, founders of Perth Homeless Support Group with Rotaract members Tara and Claire. If you can't attend the ball, you can still help by spreading the word and getting your friends and families involved. Ron, Michael, Tara and Claire look forward to seeing them glammed up on the red carpet, the more the merrier. Ron and Michael are joined by other volunteers to give out care packs, toiletries and food kindly donated by the community. 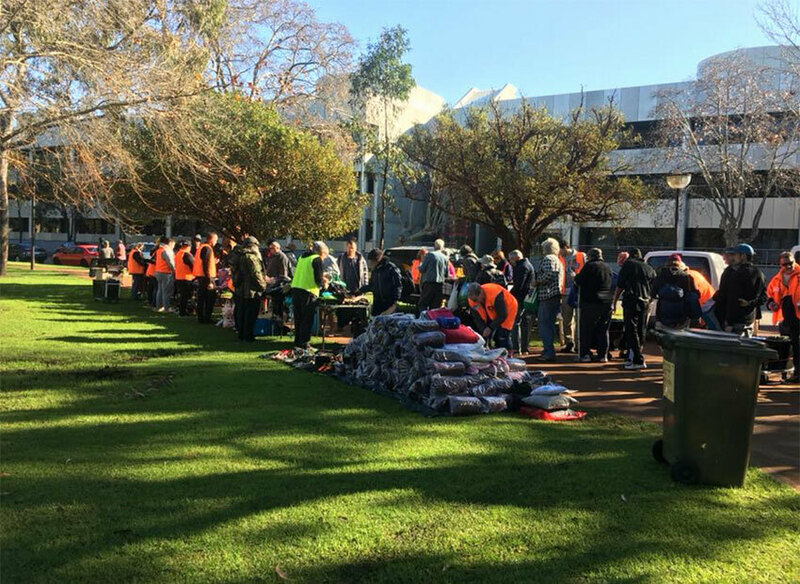 PHSG volunteers meet every Sunday from 8:45am, at Wellington Square, East Perth, where the homeless can collect Care Packs (food and toiletries), and seasonal items (beanies, socks, blankets). This work is invaluable due to most homelessness services closing on Friday and leaving people without access to services or food until Monday morning. 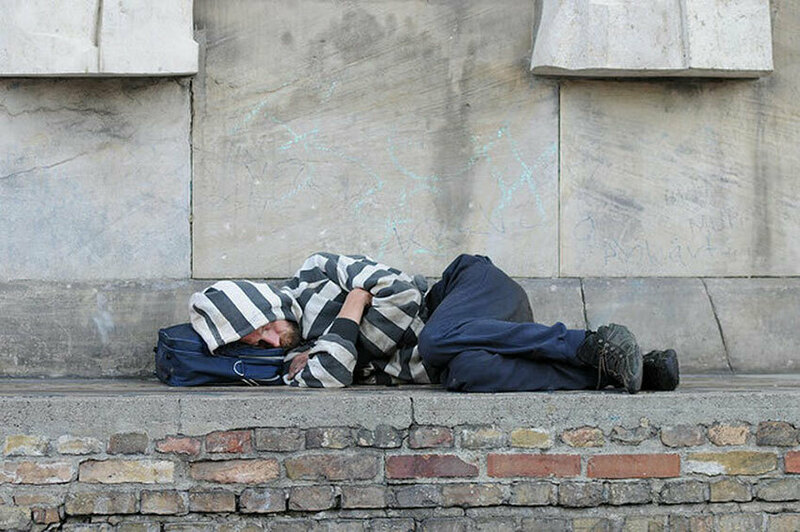 Homelessness can strike at any time for various reasons and can affect anyone regardless of background, colour, and age. Take part in more activities and events, and have fun while helping the homeless. 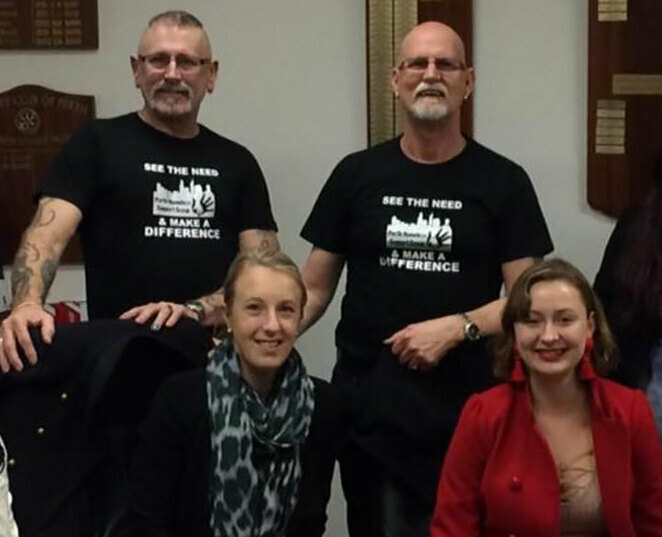 The Perth Homeless Support Group Inc (PHSG) adopts a 'hands-on' approach to meet the homeless and those at risk of being homeless, by seeing their need and acting in a way that makes a difference to their situation. Please log on, 'like', 'follow' and 'share' their 'EVENTS' page and help support Perth's homeless. Check out their brand new website where you can easily subscribe to the PHSG newsletter by popping in your email address and never miss out on what is going on. You will be surprised at how many ways can you assist this small charity with a big heart. Why not join their Facebook page and discover how you can put your skills to work and make a difference? You can donate directly here, or place a donation box at your business, simply by emailing support@perthhomeless.org.au or check here for more information. As a registered charity all donations to PHSG over $2:00 are tax deductible. Book now and enjoy a bit of Hollywood Glitz and Glamour in Perth and help break the cycle of homelessness. Help the Rotaract Club of Perth and Perth Homeless Support Group raise much-needed funds for some of the most vulnerable people in our community while indulging in a whimsical night of glitz and glamour. 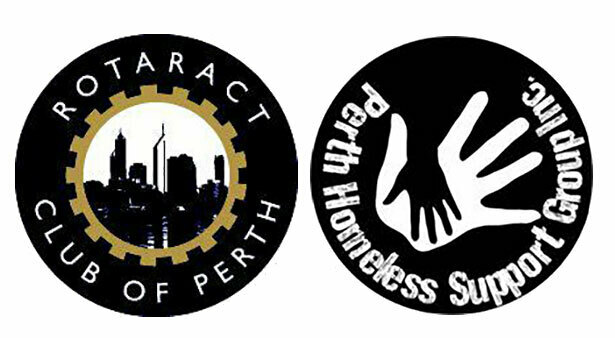 Images and photos used with permission of the Perth Homeless Support Group Inc., and Rotaract Club of Perth. Artwork and Photoshop by John F.